Description: Close-up. 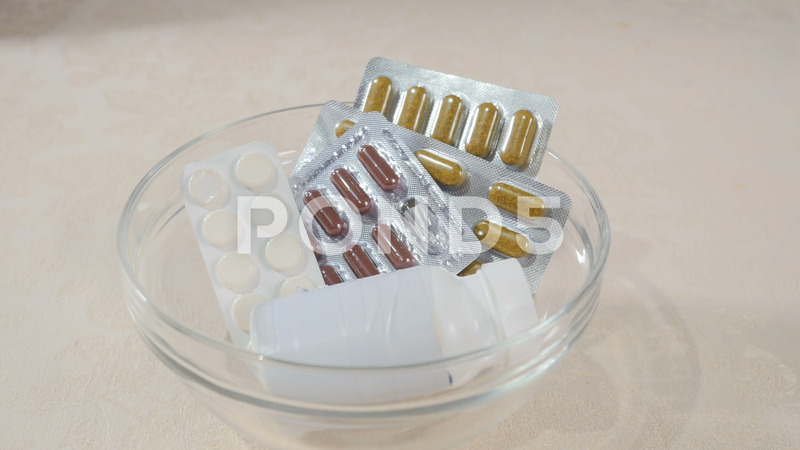 Woman's hand is near the vase with different plates of pills. Woman moves the vase away. Lady puts an apple near the vase. Woman prefers healthy vitamins treatment to the drugs and pills.